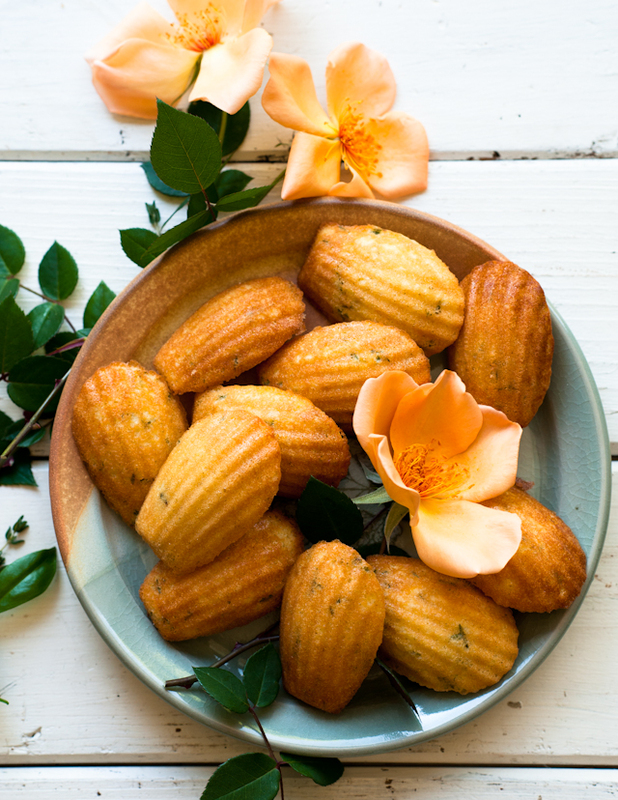 While cupcakes might be the most popular form of single-serving cakes, my personal favorite miniature-cakes are madeleines--a cake in delicately-scalloped cookie form. I love them for their startling simplicity: no glaze or frosting is necessary. 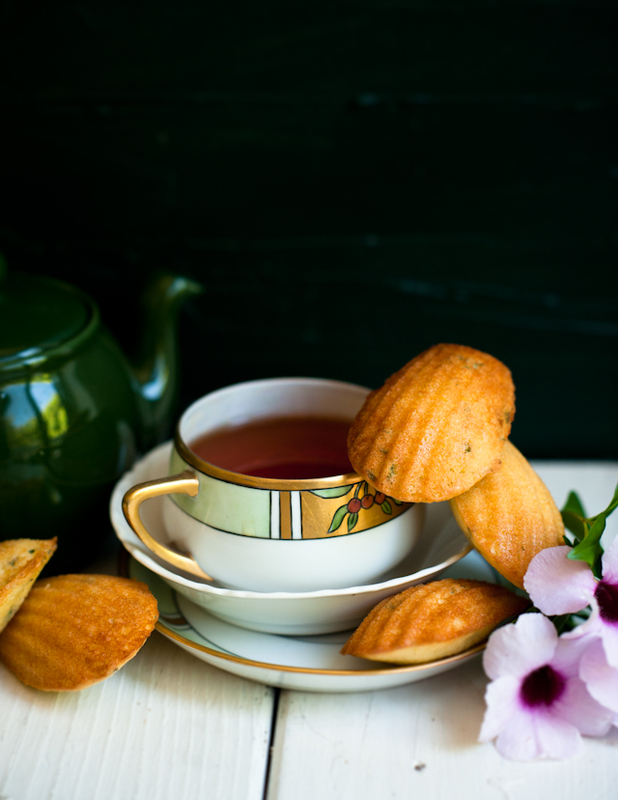 All one needs for a beautifully delicious madeleine is quality base ingredients and a good cup of afternoon tea to enjoy them with. 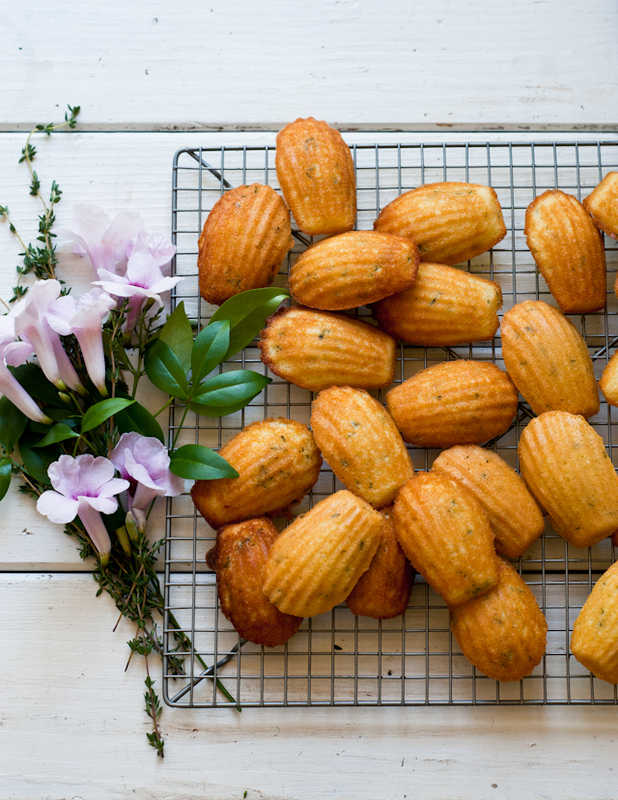 For these madeleines, I wanted to strip down the dessert to its most essential ingredients, because sometimes simplest is the best: vanilla bean and thyme. Vanilla bean brings a classical sweetness to these madeleines, which is balanced by woodsy, savory notes from the fresh thyme leaves. 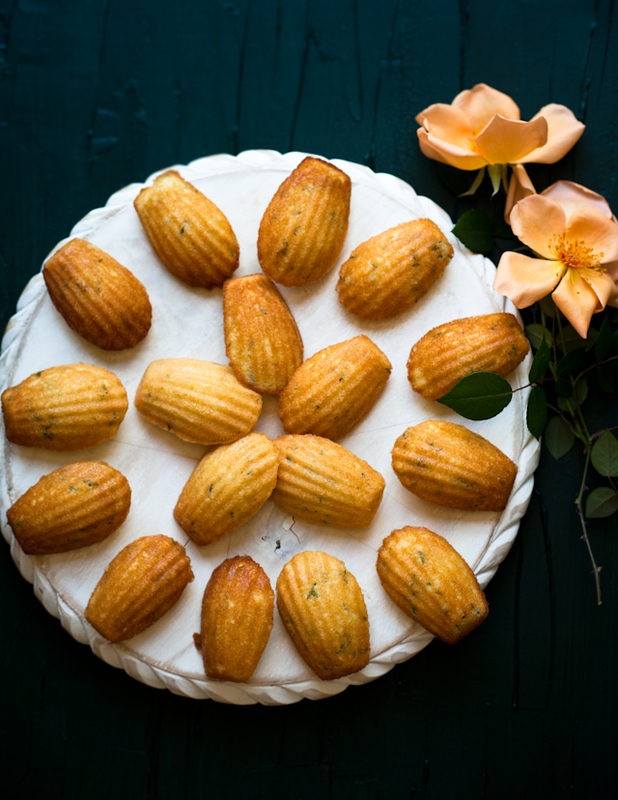 My go-to base madeleine recipe also uses coconut oil, which gives these cakes just the barest whiff of coconut--you know, for that little, mysterious bit of je ne sais quoi. Melt the butter and coconut oil. Cool to room temperature. In the bowl of a stand mixer with the paddle attachment, combine the eggs, sugar, and vanilla extract. Slice open the vanilla bean lengthwise and scrape the seeds into the eggs. Reserve the shell of the bean for future use. Beat the eggs on medium high for about 5 minutes, until very light and fluffy. While the eggs are beating, sift the flour, baking powder, and salt together in a separate bowl. Mix in the fresh thyme leaves. Once the eggs have whipped and have nearly tripled in volume, fold the flour mixture into the eggs in two additions, combining well after each addition. Then fold in the melted butter and coconut oil until well-combined, but do not overmix. Cover the batter and chill for 30 minutes to 1 hour. Meanwhile, place the rack in the center of the oven, and preheat the oven to 400°F. Butter and flour the madeleine pans. 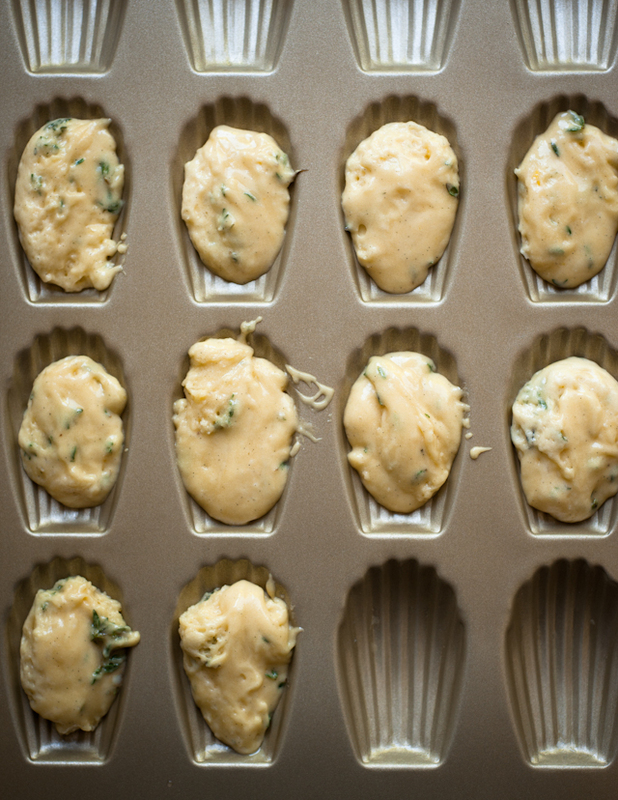 Scoop about a tablespoon of chilled batter into each madeleine mold well. Bake for 7 to 8 minutes, until the edges are golden brown. Remove from oven and immediately turn the madeleines out onto a wire rack to cool. Let cool completely before serving. 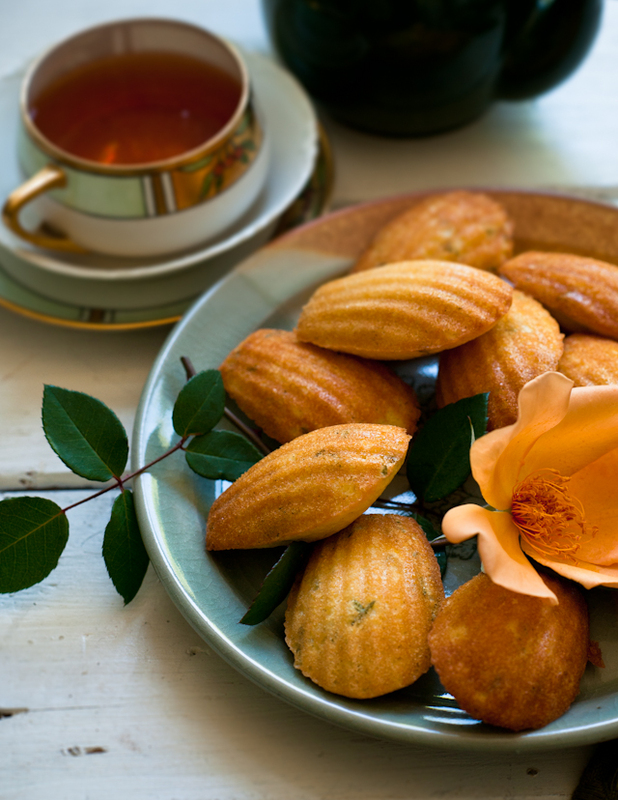 The madeleines are best eaten the day they are made. These look so good! 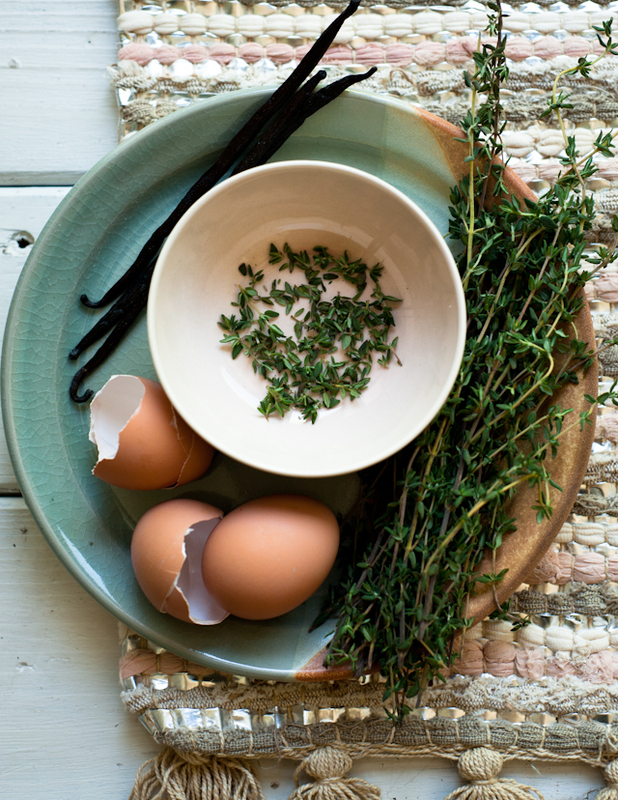 Love the use of thyme in baking. These are so pretty! I love madeleines. As for Hawaii, you need to check out Leonard's Malasadas in Honolulu. They're the best! This is such a unique recipe!! Loving the vanilla-thyme combo! I love madeleines but I've never attempted them before. I love your vanilla-herb twist! 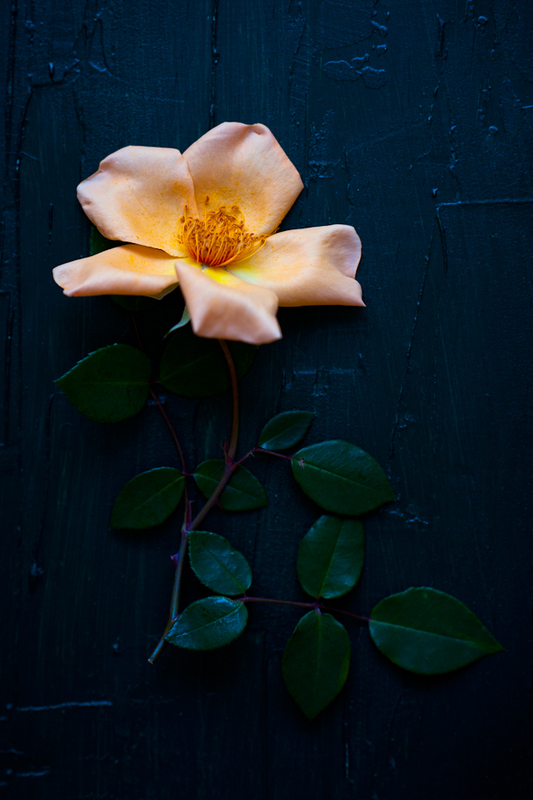 Wonderful still life photos. Just looking at them has been me WANT one of those pans. so these are definitely darling teacakes. I thought they were harder than that. Color me educated! I love those wild roses and your pretty madeleines. Thyme is one of my favorite herbs to add to desserts. Looking forward to trying your recipe. beautiful photos! can't wait to see pictures from your trip! my husband is from oahu, so we go quite often. must eats: boots & kimo's (for the banana mac nut pancakes), waiola shave ice, sidestreet inn, sasabune (best sushi EVER), he'eia pier general store and deli (best loco moco), and liliha bakery (best chocolate cream puffs, they call them "cocoa puffs"), rainbow drive in for plate lunch, kaka'ako kitchen for casual lunch, kahuku shrimp truck for the best garlic butter shrimp (in north shore, next to the old sugar mill - NOT the one that says "giovanni's"). i actually have a giant list so let me know if you want more! Alan Wong's in Honolulu, don't miss it!! Can be hard to get in, but it is sensational.